Happy the lab'rer in his Sunday clothes! 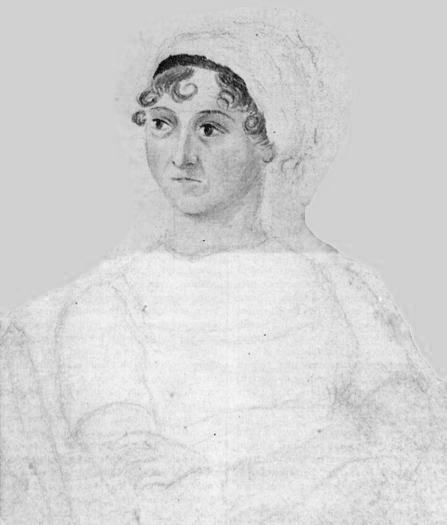 Jane Austen is one of the world's most beloved and successful novelists, though she received no notoriety at all during her lifetime. Her first books were published anonymously, listing only "A Lady" as the author. Not until her death in 1817 was her identity as an author revealed, and her books have remained in print ever since. One of only two girls in a family of many boys, Jane and her sister enjoyed many benefits of their brothers' success and societal standing. Writing verse was a common pastime in genteel households of the late eighteenth century; many in Jane's family produced poems of their own, often humorous in tone and written in honor of a particular occasion. While Jane remains best known for her fiction, her love for poetry was deep and she often referenced favorite poets and poems in her novels. Sometimes the issue of novelist or poet, which greater? cannot really be settled to everyone's satisfaction: Thomas Hardy for instance. But this one by Miss Austen is a bit limp by comparison with the unfettered savagery of her novels! Sounds like my father's spiritual fortress.